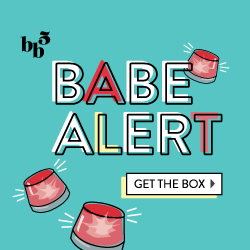 ← Purchased: Allure Summer Beauty Box! My health and wellness-packed BuluBox arrived last week and I was eager to check it out! P.S. Use coupon code BULUGAN782 to save 50% off any subscription length! As usual, it arrived in an orange box with an information card, orange tissue paper and some other promotional materials. First up, we have Swirl All-Natural Green Tea Mix in Peach. Unlike many teas that recommend steeping in hot water, this one seems to work best with room-temperature or cold water. They recommend 10 minutes for light brew, or 30 minutes for a full-bodied flavor. It’s a natural source of antioxidants, naturally decaffeinated (only 5mg of caffeine) and contains 0mg theobromine per serving, meaning people with a sensitive stomach can enjoy it too. Love cereal but need more protein in the morning? Check out Kay’s Natural Protein Cereal in Honey Almond, which in my opinion, is similar to Cheerios. Each 120 calorie serving is packed with 12g of protein (similar to 3 eggs), 4g fiber, and is gluten-free and kosher! Next we have Rainbow Light PMS Relief is an herbal form of pms relief. Instead of reaching for advil or aleve, this PMS Relief™ is supposed to offer a more natural way to deal with cramping, fatigue, water retention, tenderness and any other symptoms you may feel. Personally, I don’t see myself purchasing this, but it was interesting to try out. I don’t need to use Thyroid Thrive or like messing around with my metabolism, but these could be helpful to someone who needs them. Next we have ShredZ, which is a thermogenic fat burner. It contains Vitamin B5, Green Tea Extract and Cayenne Pepper Extract to help raise the body’s internal temperature to burn fat at a constant, sustained rate. I will definitely try it out, but hope it doesn’t have that jittery side effect. Finally, we have WhiteShield, which actually is not a new product to me. I’ll be reviewing the product as a whole at the end of the month, but to give you an idea, it’s a powder that you mix in coffee or tea to counteract the effects of staining. Basically, if you pour a pack into your drink, it helps to keep your teeth white, whereas drinks like coffee and tea can decay or stain them. Here’s the entire box! I was most excited to try out the Swirl Green Tea and Protein Cereal. It wasn’t my favorite box ever, but I will be able to use most of the items, which is a definite plus. What do you think about this month’s BuluBox Weight Loss Box? Sign up for your own for 50% off here!